The Musical Instrument Museum (MIM) collection is truly global, with 10,000 instruments and artifacts. Each exhibit includes high-quality audio/video so guests can see and hear instruments being played in their cultures of origin. Visitors can play instruments in MIM’s Experience Gallery. And MIM’s Music Theater is the best place to attend concerts by world-renowned artists. Another popular MIM attraction is the Artist Gallery, which features iconic instruments from celebrities like John Lennon. Located at Tatum, just off the 101. Call us at 480-478-6000 or visit theMIM.org. Visit the winter home, “organic” desert masonry structures, and landscaped spaces created by America’s greatest architect – Frank Lloyd Wright. Scottsdale’s only National Historic Landmark boasts commanding Valley views from the McDowell Mountain foothills situated on a 491-acre desert preserve. Immersive tour experiences of 1-3 hours led by expert guides are available 9am-2pm June-August. (Closed Tuesdays and Wednesdays.) Located at the intersection of Frank Lloyd Wright Blvd and Cactus Road, reserve your tour at Zerve.com/TaliesinWest or 888-516-0811. For more info, call 602-800-5460 or visit franklloydwright.org. For more than 65 years, visitors from across the globe have made it a point to visit the Heard Museum and its word class collection of Native American art. The internationally acclaimed Heard Museum is one of the best places to experience fascination vultures and art of the Native Americans of the Southwest. Visit the Heard Museum, tours offered daily, 602-252-8840 or visit heard.org. Nestled among the landmark red rocks of Papago Park, the Desert Botanical Garden allows you to experience the beauty that is the Sonoran Desert. The Desert Botanical Garden brings together the many wonders of the desert. Discover saguaros, prickly pears, agaves and desert wildflowers along the trails. Enjoy tours, classes, concerts, seasonal exhibits, festivals and unique Garden gifts. Located at 1201 N. Galvin Pkwy, Phoenix. Call us at 480-941-1225 or visit dbg.org. Presenting the Old West, the New West and the Next West with its renowned collection of Western art and artifacts. Experience cutting edge contemporary art exhibitions like the annual Cowgirl Up! Art from the Other Half of the West. Explore historical interpretation via an early Wickenburg street scene, traditional dioramas, ancient regional artifacts and collections of gems and minerals. Enjoy use of the GuidePORT headset system providing narrated tours throughout the buildings and find unique retail items in the museum stores! Located at 21 N. Frontier Street in historic downtown Wickenburg, 928-684-2272 or visit westernmuseum.org. Scottsdale’s Museum of the West features regularly changing and ongoing exhibits of Western and Native American art and artifacts, entertaining events and informative programs that bring the West’s history and heritage to life. In addition to being a TripAdvisor highly rated attraction, the museum became a Smithsonian Affiliate in 2015, and has been repeatedly named the nation’s “Best Western Museum” (True West magazine, 2018 Readers’ Choice). Located in Old Town Scottsdale, the museum is within easy walking distance of popular restaurants, art galleries and shopping. 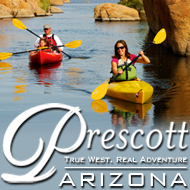 Call 480-686-9539, or visit scottsdalemuseumwest.org or see us on social media.